When Stranger Things came crashing onto our television screens last year, we all fell victim to its charms. With characters like Eleven, Mike, Dustin, Lucas, and Will, we were hooked! We fell in love with the cast (especially the child stars of the series) and wanted season 2 to come quickly! Unfortunately, we have to wait until October for it, but we have gotten some spoilers on what is going to happen in the new season! But the most shocking spoiler? Well, that goes to who is going to be the villain terrorizing our favorite kids. This year, there isn’t just a Demogorgon taking on Hawkins, Indiana. In fact, he’s just another kid at school. Not all monsters are make-believe. The show is seemingly tackling the idea that some monsters are the people we know in our real lives. Billy, a new teenage character, seems to be filling this role. What we know about Billy so far is that he’s the older brother of a new female character, Max, and he’s seriously bullying and even potentially scary. According to TVLine, Finn Wolfhard, who plays Mike, says viewers should definitely be concerned about Billy. The show taught us all about friendship and the importance of working together. We all fell in love with these characters. But we think after standing up to a demogorgon, a school bully can’t give them THAT much trouble. 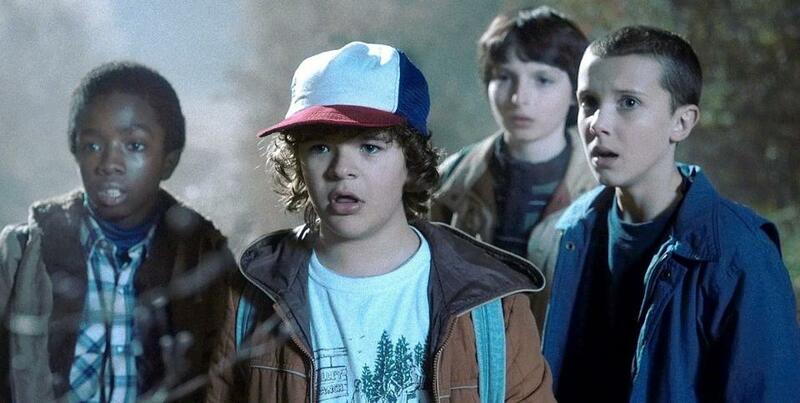 We’ll soon find out, but if season 2 of Stranger Things is anything like the first, we’re in for a fun ride.